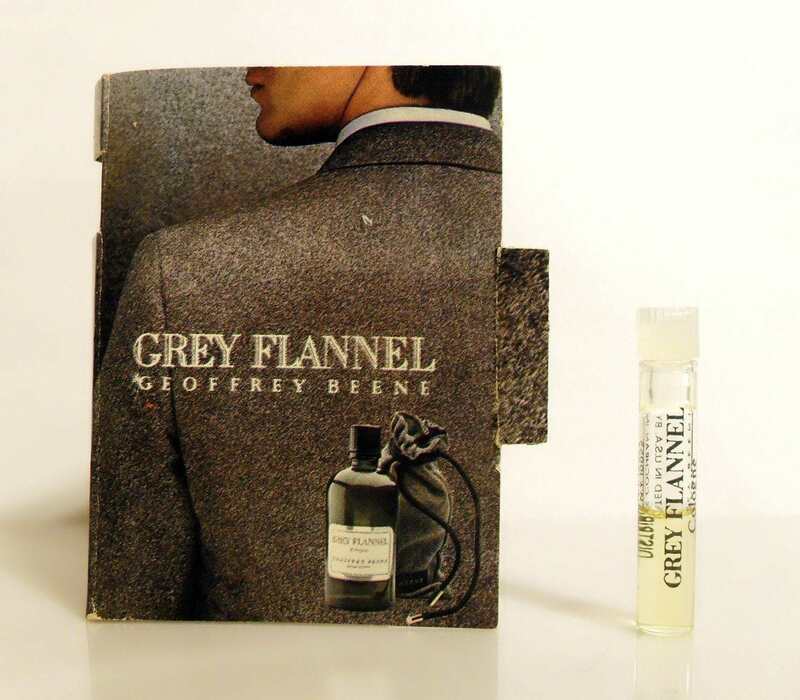 Vintage 1970s Grey Flannel by Geoffrey Beene 0.02 oz Cologne Splash Manufacturer's Sample Vial on card. The vial is about 45% full - please see picture for actual fill line. The back of the card reads "Distributed in USA by Jacqueline Cochran, Inc".